It ain’t always pretty but this quick feast sure tasted beautiful. 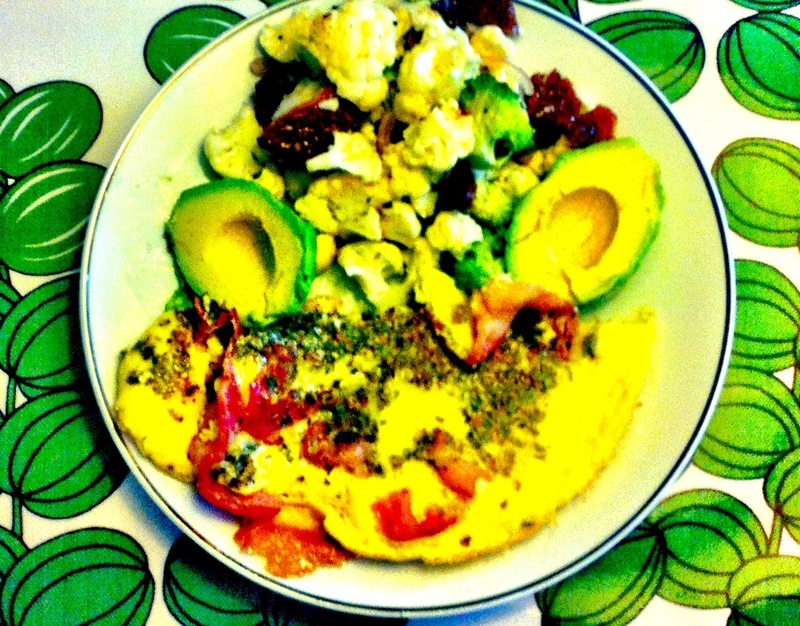 Bacon omelette, salad with broccoli, cauliflower, shallots and sun dried tomatoes and dijon vinaigrette. And avocado. Took me exactly 8 minutes to prepare.